DJ Microvibez is a Techno producer & Liveact from the Netherlands. His Techno releases can be classified as small pieces of electronic fractals which are coming together as a hugh bigroom sound. 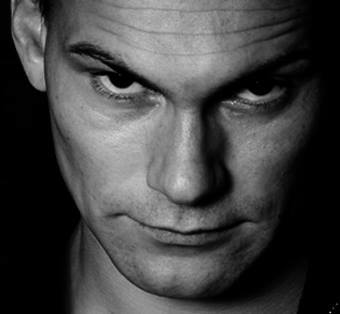 As a producer he already had some succes in the Techno scene. The last year's releases and gigs catapulted him with unexpected force and leads to the fact that he already is supported by the following artists: Carl Cox, Laurent Garnier, Chris Liebing, Richie Hawtin, Sascha Carassi, Sam Paganini, Juan Sanchez, Dubfire, Jean Claude Ades, Michel de Hey ,Joachim Garraud, just no name a few..Passionated Power…That's what Microvibez is all about. Microvibez has released his Techno tracks on Bush Records, Alchemy and his own label Refuge Digital, to name a few.The legendary Carl Cox has played his records in his Global radio Shows and used his tracks on MAYDAY, Ultra Festival, Inox Toulouse and more. Due this Microvibez is not just one of a kind. His super energetic live act has been played on festivals and clubs like Have A nice Day, Greenbeats, Festivaart, Poema Utrecht, Marco Bailey Labelnight (MB Electronics) etc. Welcome to the world of Microvibez…Technomusic from The Neherlands. Ik kijk nu al uit naar have a nice day!!! lekker laat...­maa het was heelijk!